Danilka Guzmán is from the Dominican Republic. She has a Bachelor Degree in Spanish and Literature from the University O&M, Puerto Plata. She worked for 6 years as a Spanish teacher for the Ministry of Education and concurrently at ISS teaching Spanish in Secondary from 2012-2014. While in Italy, she earned an Italian language certificate from the Universitá Di Perugia per Straniere. She was also learning English at International House and British Council School, Milan. Ms. Danilka worked at International School of Como, Italy as a Teacher Assistant in Early Years. She loves teaching Spanish and she’s ready to start her Master in Linguistics Applied to Spanish at Utesa, University. Ms. Danilka is so happy to belong to this beautiful ISS family, working with Ministry coordination and guiding the students to have fun with learning another language. Ms. Green was raised in the wilds of Scotland, and received her first degree at Birmingham University, Masters (MSc) at Ibadan University (Nigeria) and her Post-grad Certificate of Education at Goldsmith's College, London. Ms. Green has taught primary in London for many years, headed the junior department as well as Science, wrote teaching materials for Channel 4, won two National teaching awards and trained teachers for her Local Education Authority in SATS and Science. Most recently, she has been self-employed in the UK property market and has lived in Sosua for the last few years. Ms. Green's love for teaching, working with children and books has brought her to ISS for what she describes as her dream job! Ms. Green works part-time (mornings) as Elementary Librarian and Learning Support teacher. Juan Guivin has studies Classical Guitar in Music Conservatory in Lima/Peru, Jazz in Jazz y Mas Institute (D.R. ), Jazz Studies en Berklee Online Program (USA), and in the Guitar Program in Berklee on the Road (D.R). He has worked as a Music Teacher in Academia Dominicana de Musica, Dina Music Institute, is currently the Founder/Coordinator in Dream Music Program Partnership DR JAZZ FESTIVAL and a Producer in DR JAZZ FESTIVAL (2012/2014). As a professional musician he has earned recognition as a Guitarist for Leslie Grace (Grammy Award), Greg Godovitz, Doug Wimbish, Peter Novelli, Anthony Jefferson, Ramon Vazquez (Grammy Award), Art Aguilera (Dove Award). Sr. Guivin has also worked as a Musical Director for numerous international musical events (Jazz Day Festival, Unesco Celebration, Wimbash Festival, Rock Legends). He believes that Music is a language,it creates emotions and it is a world where each person can turn ideas into melodies; Music is being able to create and share those ideas in unique sounds; and, each ISS student has that world available in each class, and have fun learning. 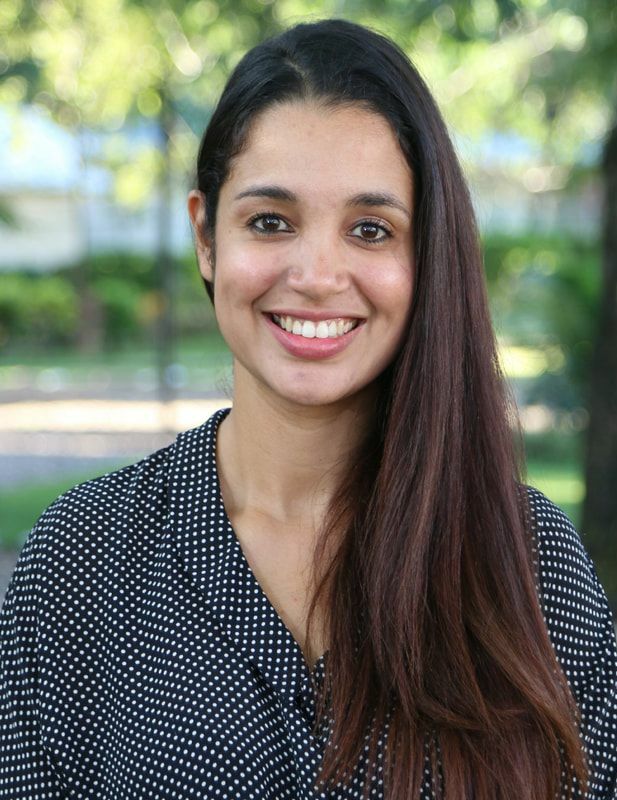 Ms. Yumirys Peña studies at the Dominican University UTESA. She joined ISS in September 2007 and has taught and supported students throughout the school. This year she will provide support for learners as a Learning Support teacher and as the Art teacher. Ms. Peña loves being surrounded by children and is a very enthusiastic and passionate teacher. Vojt is excited for another year in the ISS school community surrounded by wonderful people.Vojt Lulewicz grew up in Poland; it was there where he obtained his Master’s Degree in Sports Science and Physical Education. He started his career in Poland teaching water sports and physical education to secondary school children. Vojt’s ambition was to travel, and it didn’t take him long to decide to move to the UK and be part of a cosmopolitan city- London. During his time in London, he was a successful ASA Swim Coach in a few top London Swim Clubs, and a PE Teacher for a GEMS (Global Education Management System) School. He also worked as a Personal Trainer at Virgin Active London Health Club. It was in 2008 when Vojt discovered the gem that was the Dominican Republic, and instantly he fell in love with the people, the culture and the country. In 2010, he opened a Swim and Kite School, where his experience and enthusiasm has led him to teach and train hundreds of students. Vojt is excited to be joining ISS! Mr. Darrell Haines has been teaching Elementary, Middle and High school Health and PE (HPE) at ISS for three years. Originally from Canada, he completed a B.S. in Kinesiology from West Chester University of Pennsylvania. He has coached Middle and High school soccer, and Middle school basketball. He is a certified Wilderness First Responder, with CPR/FIrst aid. He has a passion for being physically active and really enjoys teaching HPE at ISS.